The Penitentiary was intended not simply to punish, but to move the criminal toward spiritual reflection and change. While some have argued that the Pennsylvania System was Quaker-inspired, there is little evidence to support this; the organization that promoted Eastern State’s creation, the Society for Alleviating the Miseries of Public Prisons (today’s Pennsylvania Prison Society) was in fact less than half Quaker, and was led for nearly fifty years by Philadelphia’s Anglican bishop, William White. 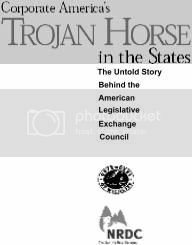 Proponents of the system believed strongly that the criminals, exposed, in silence, to thoughts of their behavior and the ugliness of their crimes, would become genuinely penitent. In reality, the guards and councilors of the facility designed a variety of physical and psychological torture regimens for various infractions, including dousing prisoners in freezing water outside during winter months, chaining their tongues to their wrists in a fashion such that struggling against the chains could cause the tongue to tear, strapping prisoners into chairs with tight leather restraints for days on end, and putting the worst behaved prisoners into a pit called “The Hole”, an underground cellblock dug under cellblock 14 where they would have no light, no human contact, and little food for as long as two weeks. Eastern State Penitentiary refined the revolutionary system of separate incarceration first pioneered at the Walnut Street Jail which emphasized principles of reform rather than punishment. 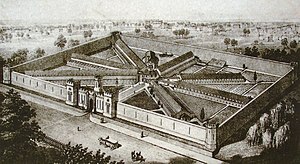 Eastern State’s revolutionary system of incarceration, dubbed the “Pennsylvania System” or Separate system, encouraged separate confinement (the warden was legally required to visit every inmate every day, and the overseers were mandated to see each inmate three times a day) as a form of rehabilitation. 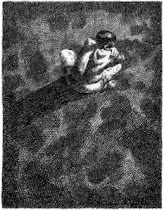 The Pennsylvania System was opposed contemporaneously by the Auburn System (also known as the New York System), which held that prisoners should be forced to work together in silence, and could be subjected to physical punishment (Sing Sing prison was an example of the Auburn system). Although the Auburn system was favored in the United States, Eastern State’s radial floor plan and system of solitary confinement was the model for over 300 prisons worldwide. Originally, inmates were housed in cells that could only be accessed by entering through a small exercise yard attached to the back of the prison; only a small portal, just large enough to pass meals, opened onto the cell blocks. This design proved impractical, and in the middle of construction, cells were constructed that allowed prisoners to enter and leave the cell blocks through metal doors that were covered by a heavy wooden door to filter out noise. The halls were designed to have the feel of a church. Some believe that the doors were small so prisoners would have a harder time getting out, minimizing an attack on a security guard. Others have explained the small doors forced the prisoners to bow while entering their cell. This design is related to penance and ties to the religious inspiration of the prison. The cells were made of concrete with a single glass skylight, representing the “Eye of God”, hinting to the prisoners that God was always watching them. Outside the cell, there was an individual area for exercise, enclosed by high walls so prisoners couldn’t communicate. Each exercise time for each prisoner was synchronized so no two prisoners next to each other would be out at the same time. Prisoners were allowed to garden and even keep pets in their exercise yards. When prisoners left the cell, a guard would accompany them and wrap a hood over their heads to prevent them from being recognized by other prisoners. Each cell had accommodations that were advanced for their time, which included a faucet with running water over a flush toilet, as well as curved pipes along part of one wall which served as central heating during the winter months where hot water would be run through the pipes to keep the cells reasonably heated. The toilets were remotely flushed twice a week by the guards of the cellblock. The original design of the building was for seven one-story cell blocks, but by the time cell block three was completed, the prison was already over capacity. From then on, all the other cell blocks were two floors. Toward the end, cell blocks 14 and 15 were hastily built due to overcrowding. They were built and designed by prisoners. Cell block 15 was for the worst behaved prisoners, and the guards were gated off from there entirely. Philadelphia’s Eastern State Penitentiary was built in the 1820s, inspired by Enlightenment ideas and Quaker belief in solitary reflection and penitence. This documentary, illustrated with period lithographs, engravings, and photographs, gives a detailed history of the prison from its initial practice of total solitary confinement through its transformation into an overcrowded “Big House” to its replacement with a modern facility in 1970. The narrative places Eastern’s changing practices in their social context and raises serious questions about the contemporary growth of prisons in the United States. See http://verstehenvideo.org/esp/esp.html for more info & a teaching guide.